Did You Know Blue Had No Name? Did You Know Blue Had No Name? 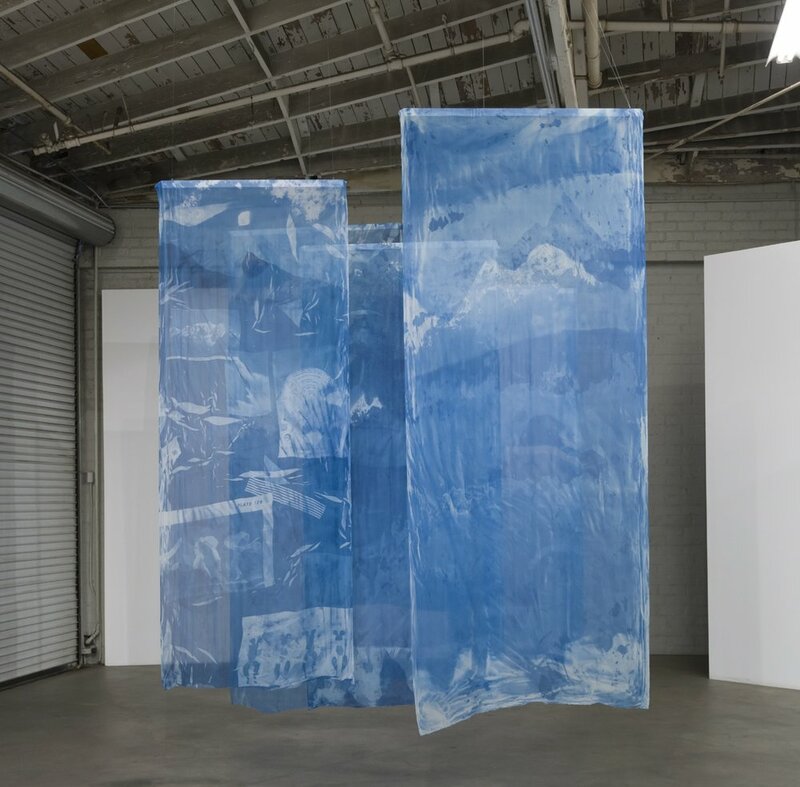 explores epistemological aspects of “blueness” through various historical narratives, examining the relationship between the color blue and mountaineering, early photographic technologies, art history and how knowledge is ascribed and recorded. As a starting point, I investigate 18th century Swiss scientist and alpine enthusiast Horace-Bénédict de Saussure’s cyanometer, a device he created for measuring the blueness of the sky. Saussure’s quest to test his apparatus and theories on blue led to a contest inspiring the first expedition to the summit of Mont Blanc, the highest mountain in the Alps. The quest for blue has likewise had challenges in early photography as blue skies were difficult to record leading to innovations such as split printing and challenging the “truthfulness” embedded in the medium. Similarly, in ancient texts, no word for blue exists. The word blue only makes an appearance in recorded language after the color could be extracted for pigment. This project weaves together these and other histories of blue, commenting on issues of [in]visibility, innovation, conquest and the contest. Did You Know Blue Had No Name? was made with the generous support and assistance from the Canada Council for the Arts, the Barbara Spohr Memorial Award & Fleck Fellowship from the Banff Centre, the Lower Manhattan Cultural Council's Workspace program, and Shandaken Projects. Special thanks to the Bibliothèque de Genève for providing access to H.B. de Saussure's original cyanometers.